YES, I would like to receive more insights and and news from Filter by email (we promise to be polite about it). Continuous delivery was designed to help companies make products better, not simply release code faster. The practice should fuel the continual learning that drives product success. Too often, however, UX research and design cycles are compromised to fit with faster agile development cycles. Today’s leading product managers and UX design teams have learned how to evolve and adapt, keeping up the rapid pace while shifting their mindset from a focus on delivery to a culture of learning. 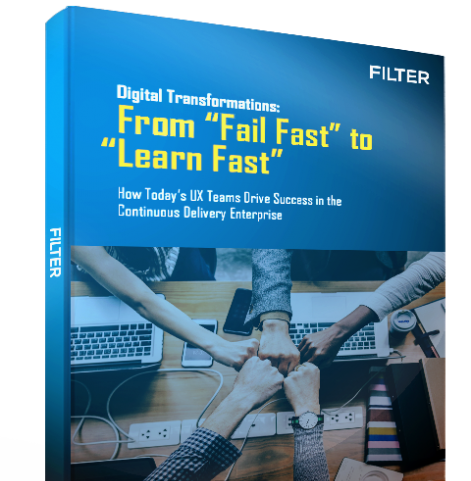 New from Filter, our latest E-Book explores the intersection of UX disciplines and advanced software development practices like continuous delivery, agile and DevOps—methodologies that have radically reshaped the way software is designed, built and served out to customers. Based on experiences and observations we’ve made through nearly 30 years of work with some of the world’s leading brands, we share insights here on the evolution of UX practices within this changing landscape. 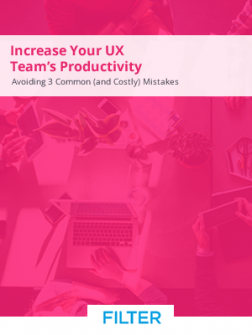 It’s no simple feat to maintain UX best practices in the face of accelerated development cycles within a continuous delivery enterprise. 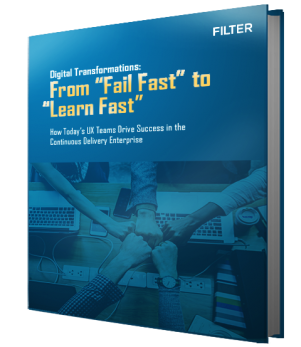 Too often shortcuts are made, output is prioritized over outcomes, and product teams come to forget the core purpose of continuous delivery. We provide additional expertise or capacity for your internal team, with a focus on fit - and a 99% success rate. We build, manage and quickly scale teams who are dedicated to your business and highly integrated with your internal team. Our turn-key solutions take entire projects or processes off your plate, freeing up your team and enabling you to move faster.